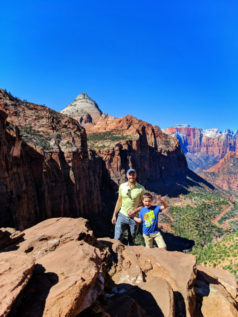 Depending on your travel style, you may approach visiting a National Park, like Zion National Park, differently than other families. We range from camping to to hotels nearby to National Park Lodges. And our dining matches this: picnicking, easy lunches, local cuisine and fine dining. 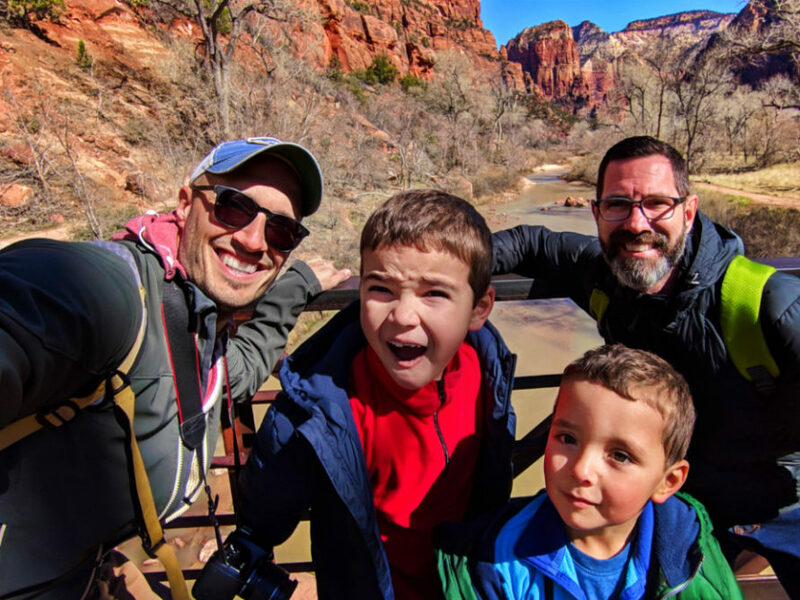 This is our guide to family friendly options for dining and where to stay at Zion National Park. 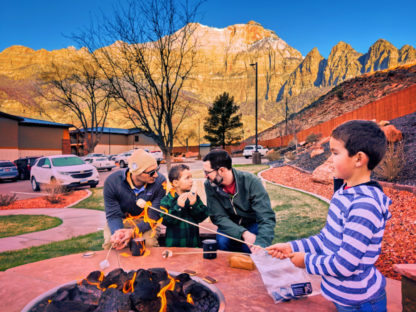 Note: we partnered with Best Western Hotels & Resorts to visit Zion National Park, but its inclusion in our recommendations is solely of our own opinion and discretion. Our thoughts and feelings are our own and are not prescribed by any brand or group. 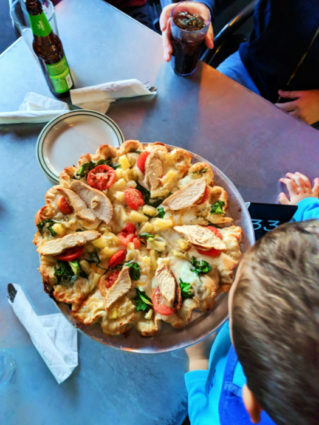 Pizza referral: Zion Pizza and Noodle. Everybody’s budget is different when they travel. 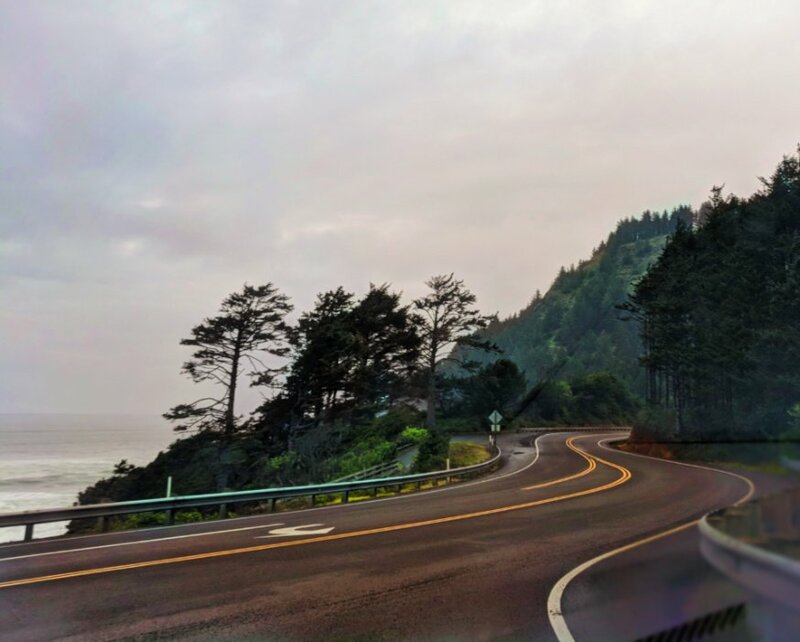 Even when we’re traveling for work on somebody else’s dime, we are careful to make budget-friendly choices and to keep with the means that we’ve always operated in. Also, we love to travel using points so that often will color the decision about where we stay. 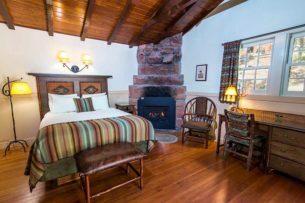 Luckily, our ideas for where to stay at Zion National Park include the gambit of lodging styles, including national brand options. We’ll be honest: staying within any national park will come at a premium price. Sometimes it’s not so bad, but other times it’ll go well over the average family’s budget. 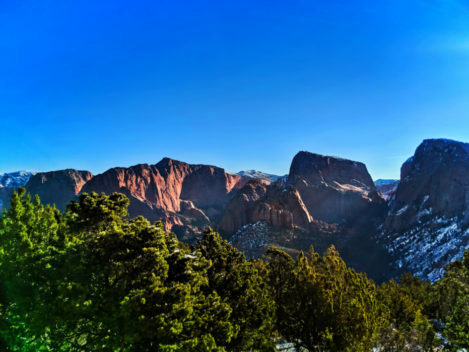 Luckily, many National Parks, including Zion, have wonderful small towns just outside the park full of lodging and dining options for visitors. At Zion, the options are Springdale and Mr Carmel Junction, the former being much cuter and more easily accessible. 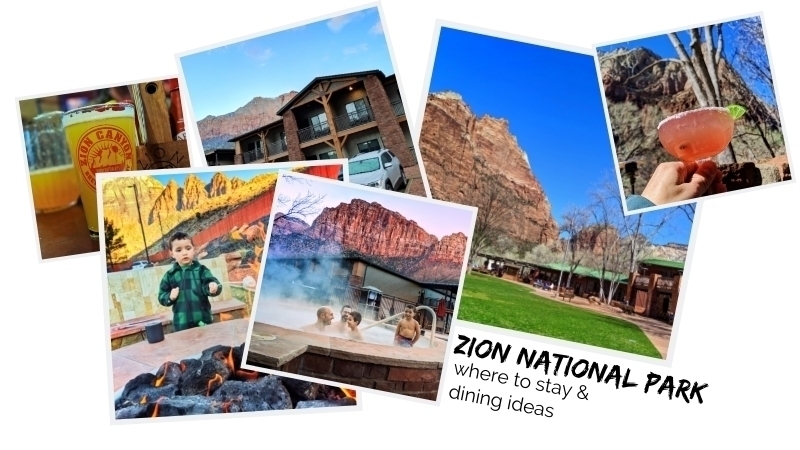 We loved our stay at the Best Western Plus Zion Canyon Inn & Suites. Despite having the longest name ever, it was a very short distance to the Park entrance. 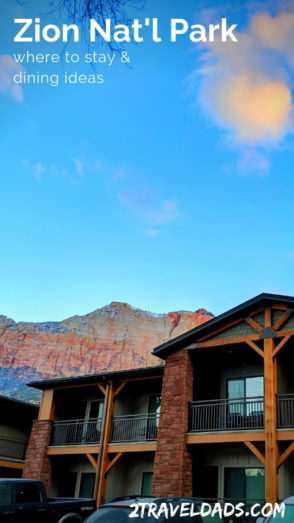 Even without partnering with BW this has been on our radar as the hotel to stay are when visiting Zion National Park. 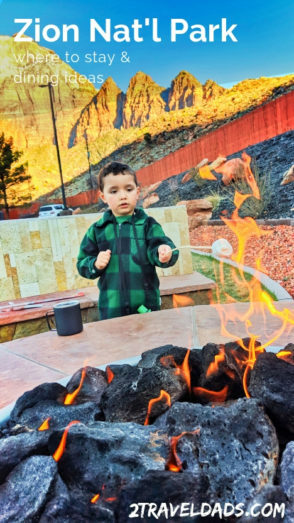 Highlights of staying at the BW Plus Zion Canyon Inn include HUGE rooms (and we stay in a lot of hotels), free breakfast each morning, a very nice hot tub and pool area, and fire pits for guest use. Oh yes, and we had a patio for enjoying the sunset. The location of the hotel was exceptional. Located just outside the main Zion National Park entrance, we were surrounded by the incredible cliffs of Zion Canyon. Also, at the hotel entrance was a Springdale Shuttle stop to take guests to the entrance of the park. 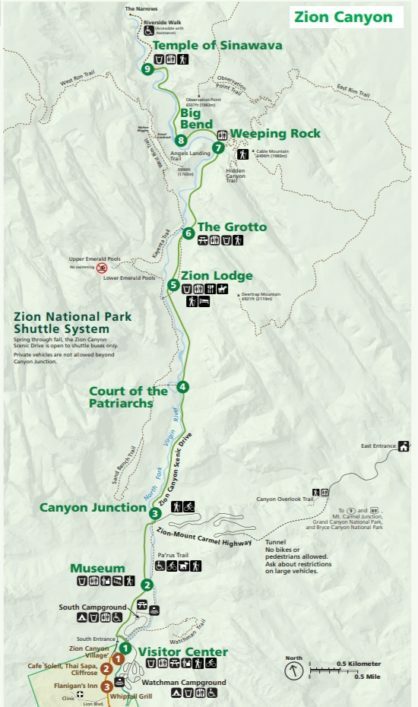 Tip: when you’re choosing where to stay at Zion National Park, consider the parking options and proximity to shuttle stops. Cars aren’t allowed in the main Zion Canyon most of the year, so you’ll be taking the Zion Shuttle at some point, no doubt. Try to be close for ease of entry. You’ll find many other hotels and even a few B&Bs in Springdale, so choose the option that’s right for you. 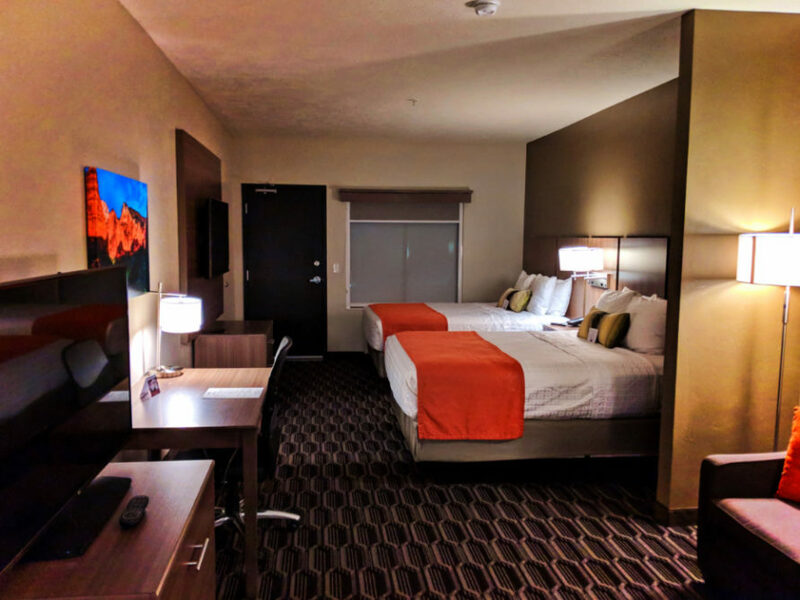 There are other national brand hotels in town, so research your options and availability and select accommodations that are right for your budget. Note: in small tourist communities, be thoughtful about booking through AirBNB. Small communities around the globe, including in the USA, are being negatively impacted by the rise of private rentals, as these premium rates cause locals and seasonal workers grief in finding affordable housing. Check out our article on Low Impact Travel for more information. If you’re booking last minute, you may find that Springdale is fully booked. 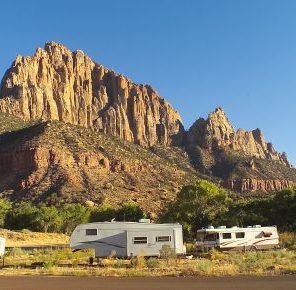 You can also look in the town of Hurricane, UT for a good place to stay at Zion National Park. True, you’ll have a little more of a drive, but even from the town of Hurricane, there are shuttles available into Springdale and the Zion main entrance. 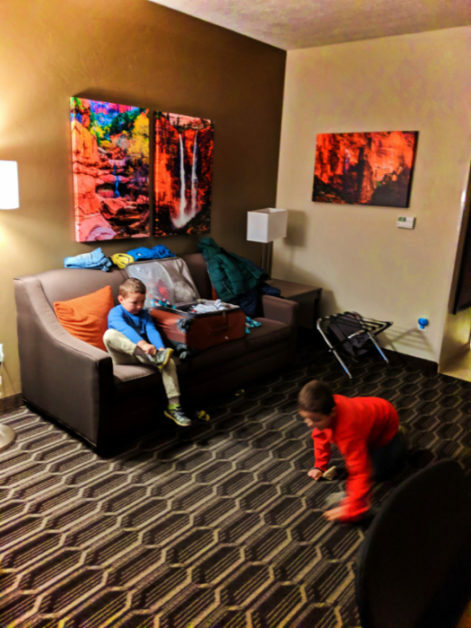 When you’re traveling with the family and trying to make things fit a budget, there are lots of options for hotels if you just broaden your search a bit. On the eastern side of Zion National Park, you’ll find the small town of Mt Carmel Junction. There isn’t much there except for some small hotels, a ranch and some outfitters for tourism. This is an ideal location if you want to have one home base but experience both Zion and Bryce Canyon National Parks. 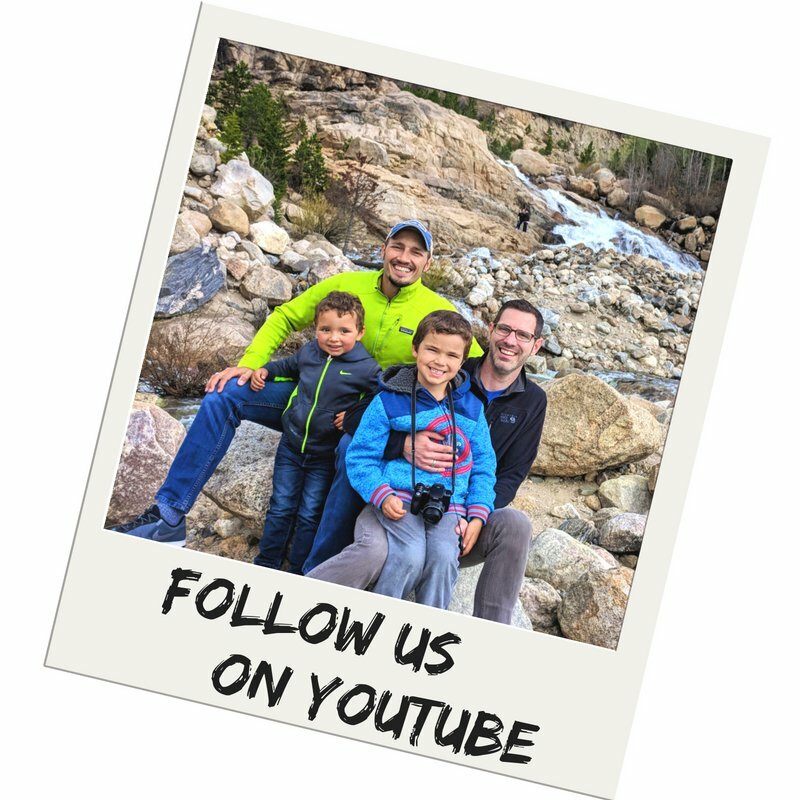 We did our road trip of Utah National Parks by staying in two different locations, but this base is an option too. Options in Mt Carmel Junction include the Best Western East Zion Thunderbird Hotel, the Zion Mountain Ranch, and a few others. Like I said, it’s not a huge town. If you want more options you can head south a bit to Kanab. This is also going to put you into the middle of some of the coolest sandstone formations in Utah. The town is bigger and has more national brand options (if you’re traveling with points). You’ll also find a much more of a town for exploring and lots of tourist options beyond Zion National Park. 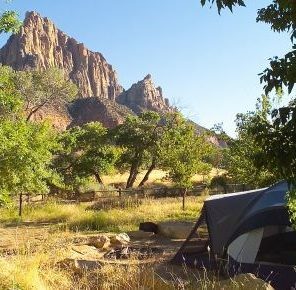 As noted above, when you’re considering where to stay at Zion National Park, staying outside of the Park is typically your most cost effective option. There are several options within the park as well though, depending on the time of year. Until you’ve stayed in a National Park Lodge, you haven’t lived. Actually, you have. While the many National Park Lodges are nice and extremely unique, they are still just standard hotels. 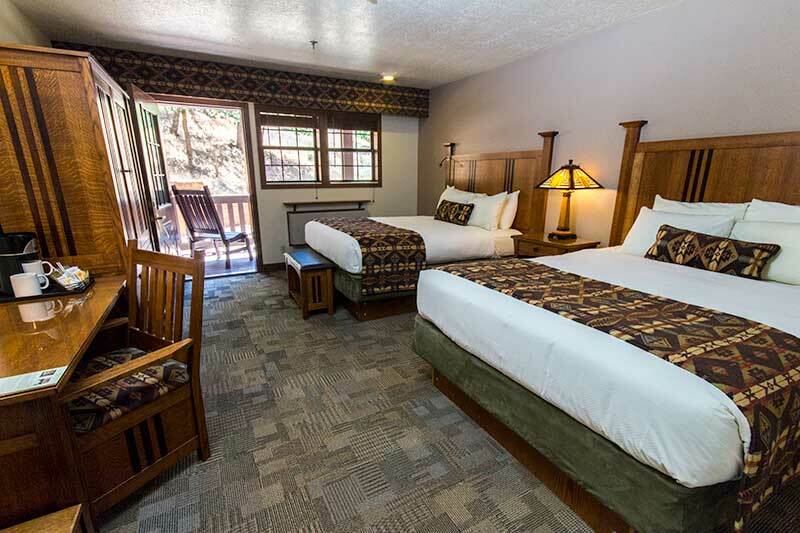 The great benefit to staying in a National Park Lodge, like the Wuksachi in Sequoia National Park or the John Muir Lodge in Kings Canyon, is that you wake up in the heart of the park. It’s the same with the Zion Lodge. 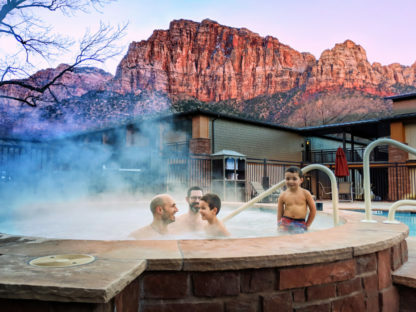 Located at the trail head for the Emerald Pools and across the street from the horse corral, when you consider where to stay at Zion National Park, if being IN the park is important to you, this is your option. 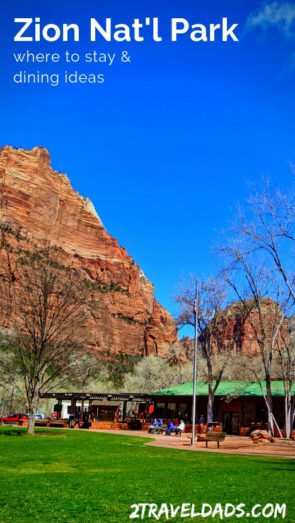 Another option within Zion National Park is the cabin portion of the Zion Lodge. The accommodations are very similar, but they have exterior entrances for and a bit more privacy. They are just as updated as the Lodge rooms, but have a bit more space and are all at ground level. 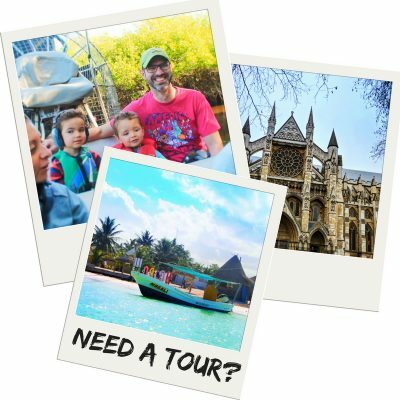 Depending on you travel style and budget, this could be a good option for families with small kids, as it’s easy to enjoy the night air just beyond your door once the kids have gone to sleep. There are three campground within the park, only two of which are full amenity campgrounds. 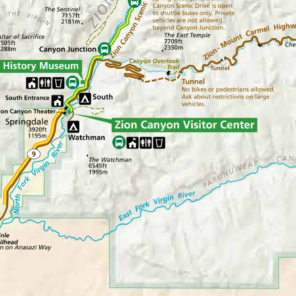 If you’re figuring out where to stay at Zion National Park and camping is your goal, within the park you can either stay at the main entrance (Springdale area, West) or to the north within the Kolob Canyons entrance. DISCLAIMER: we’ve not camped within Zion NPS so cannot officially recommend either option. Knowing the landscape of the area, camping at either the South or Watchman campgrounds is going to be quite exposed. There aren’t a lot of trees, especially not any thick, bushy trees, so even if you manage to get a campsite without a neighbor right there, you won’t have a lot of privacy. Also, know that in peak camping season it is HOT in Zion. Camping might be an exceptionally toasty experience. If you’re cool camping outside of the National Park boundary, you’ll find several additional options. Between Utah State Parks, Grand Staircase Escalante National Monument and KOA locations, you’ll find lots of options. Check out Google Maps for current listings and reservation information. When you’re traveling with kids, dining and feeding hungry littles is at the forefront of your mind a good portion of the day. It’s important to be prepared and have a plan, no matter the gambit of activities you have planned in Zion National Park. Our number one tip: bring your own snacks, and remember that waste-free snacks are best. We like to load our backpacks with fresh fruit since it comes in its own compostable packaging. For crunchy snacks and to be sure that we’re not setting the kids up for constant bathroom runs, we like to bring Goldfish crackers. They are one of the few snacks available that are not packaged in any sort of plastic. Also, they’re fun to eat and are more healthy than most types of chips, bars and other processed snacks. And don’t forget your refillable water bottle. It’s listed on our Packing List for Zion. 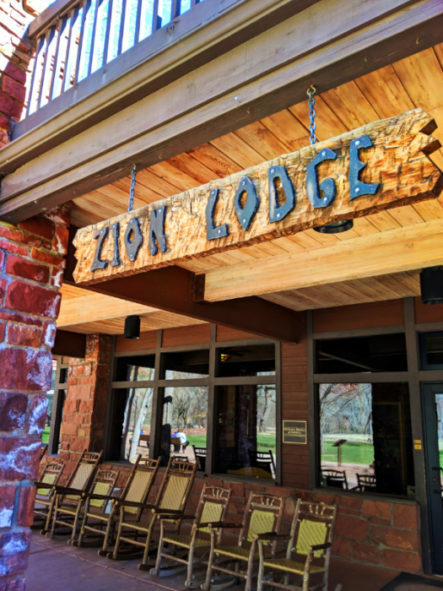 There are two options for purchasing food within Zion National Park and both are located at the Zion Lodge. 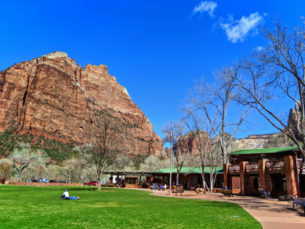 The Red Rocks Grill is located above the lobby in the main Zion Lodge building. It does both a fresh buffet and salad station as well as fine dining menu style. There was a time when dining in National Parks was just as disappointing as dining in theme parks, but in places like the Zion Lodge and Paradise Inn at Mount Rainier National Park, they’ve really stepped up their game with sourcing and operating like a normal nice restaurant would. Also good to know, the Red Rocks Grill has a bar and serves alcoholic beverages. When you talk about visiting Utah, there are a lot of questions and conversation about alcohol laws in the state. Yes, they do have alcohol and yes, they also have weird Utah beer. Both are available at Zion Lodge. See below for more info on Utah beer. There is also a quick service cafe attached to the Zion Lodge, the Castle Dome Cafe, located near the Zion Shuttle stop. This is good for sandwiches and burgers, but the price point doesn’t match the experience. 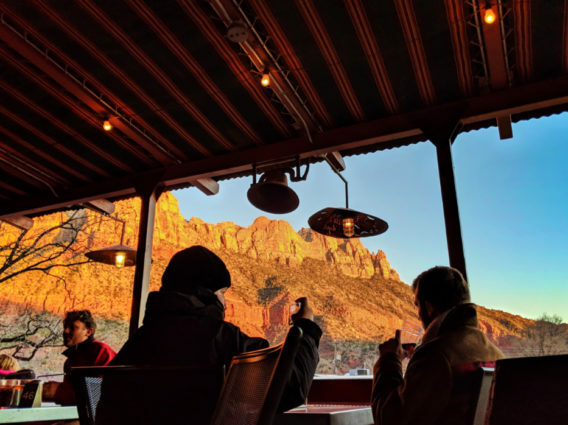 For the same prices or cheaper you can enjoy a nice, sit-down service restaurant at the Red Rocks grill and eat out on the rooftop deck looking out at the Zion Canyon walls. You choose. 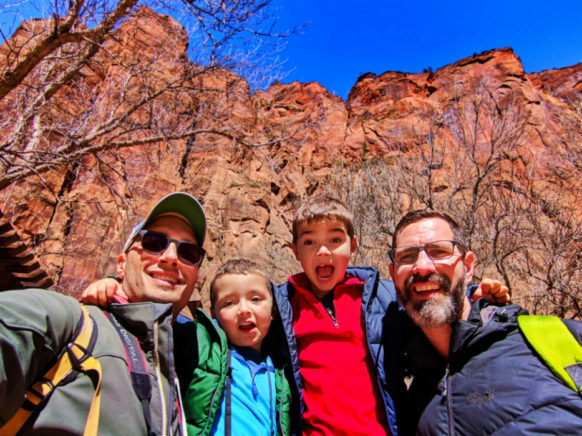 If you’re doing Zion on a budget or have certain dietary restrictions, it may be easier or better for your plans to pack in your own lunch than try to work with the limited dining options. Within the town of Springdale, there is actually an organic market, as well as another small marketplace to get basic groceries and lunch fixings. Also, if you’ve just come from Las Vegas, St George or Hurricane, then you’ve got access to larger grocery stores. This is good to remember for both picnic meal and snacks. Note: always pack out whatever you pack in. If you’re eating on the trail, DO NOT LITTER! Bring every tiny scrap, including fruit peels and cores, back to be properly disposed of. If you’re visiting the Kolob Canyons area, there is an awesome picnic spot at the final viewpoint. Nothing like having lunch outside with one of the most dramatic views in all of Zion National Park. Best picnicking idea ever. Since the first time I visited Zion National Park in the early 2000’s the town of Springdale has boomed. It’s amazing. What used to be a few small restaurants and a couple hotels is now a bunch of beautiful, nice restaurants and lodge-style hotels, family friendly options, and even a brewery. There is food for almost any taste in the town of Springdale, including Asian fusion and organic grocers. 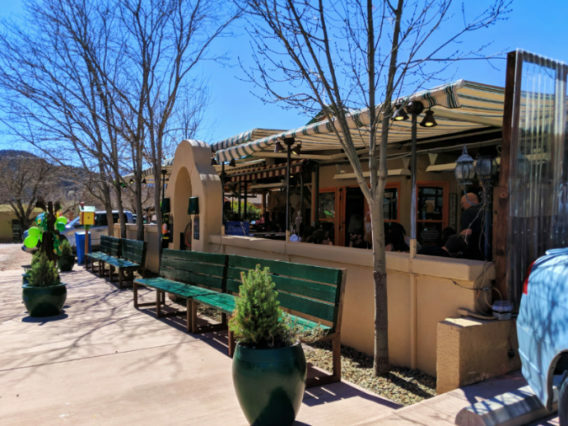 You can Yelp for your Zion dining destinations and no doubt find some great options, but we have our own recommendations. 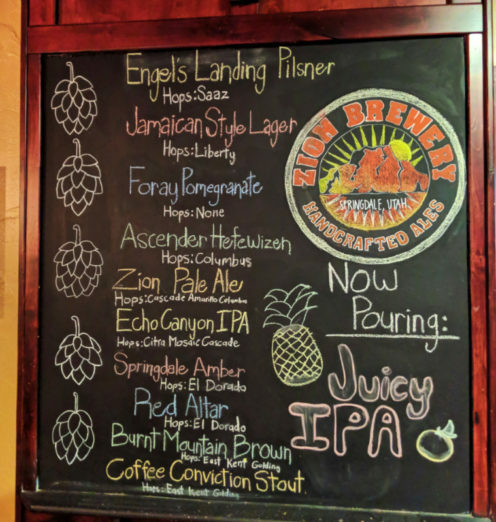 Note about Beer in Utah: as of March 2019, all draft beer served in Utah is rated at 4% alcohol content or less. Some breweries in the state produce high content beers, but these “heavy” beers are only available from liquor stores and licensed vendors. 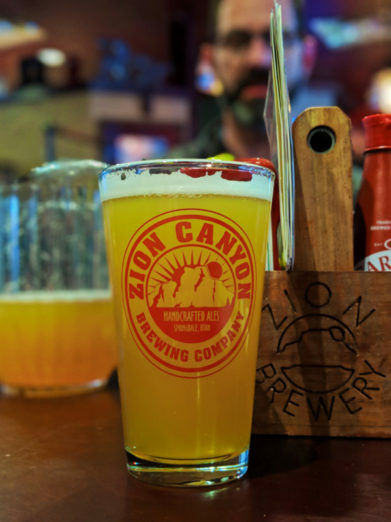 Located very near the Zion National Park entrance, Zion Brewery is great for lunch, dinner, snacks and beers. 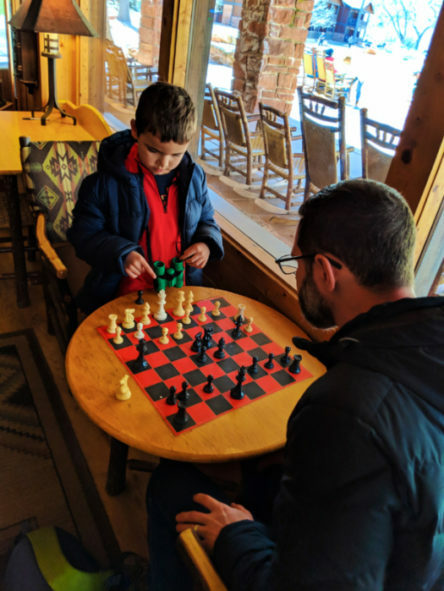 They have lots of indoor and outdoor seating, which makes it perfect for getting warm in the off-season and enjoying the view the rest of the year. They offer a great kids menu that’s REAL FOOD and the main menu is interesting and perfectly local. We enjoyed burgers and beers (UT beers) and felt right at home. 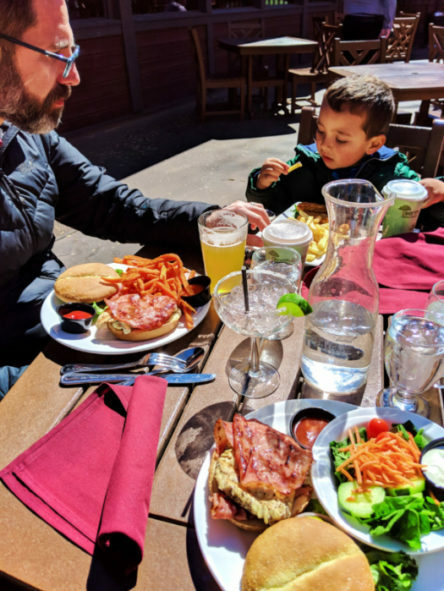 We were looking for a place that had outdoor seating and something different from the BBQ and sandwiches we’d been having throughout our trip. Oscar’s Cafe offered both with a huge outdoor seating area, fun atmosphere and great menu. And the portions were a bit ridiculous. Want an easy meal that feeds three adults or a family of four? 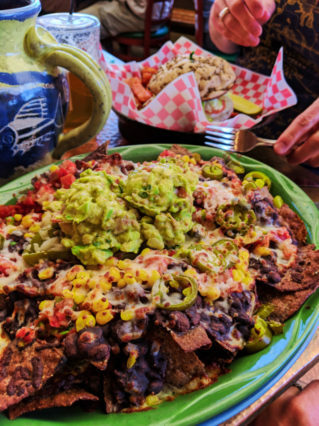 Get the Mucho Nachos and add a protein if you want (hold the jalapenos). Delicious options and great environment. This spot was HOPPIN’! And rightly so because it was delicious. Zion Pizza and Noodle Co is located on the main drag of Springdale and is attached to an outfitter. They are only open for dinner (opens at 4:00 pm) and are crazy busy from start to finish. Their pizza crust is kind of the most wonderful food in all of Springdale, UT. A big bonus with dining at Pizza and Noodle is the patio view. The Zion Canyon doesn’t disappoint and watching the sunset on the red rock cliffs while eating great food is priceless. 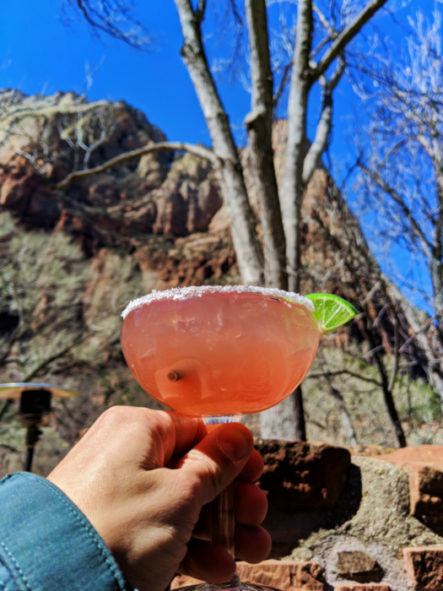 Now that you have a good understanding of what is available in terms of where to stay at Zion and several types of dining experiences while you’re visiting the park, you should feel well prepared to jump in and get yourself scheduled for a visit. If you have any questions about what’s in the area or have some recommendations to share yourself, feel free to leave a comment or send us a note! And check out our really cool, fun road trip plan to experience the Southwest from Vegas to Bryce Canyon National Park. 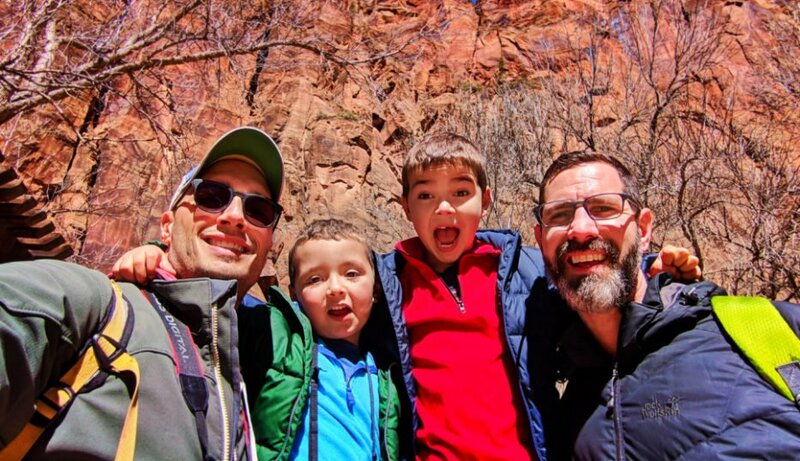 It’s a great plan for enjoying all kinds of sights and experiences, including Zion National Park. 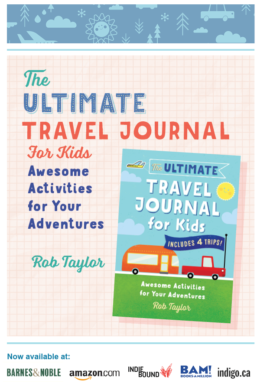 Want to pin this for you own travel planning? Go for it!! !